According to the U.S. Department of Energy, your water heater may be accounting for up to a quarter of your home’s total energy cost. At Northwest Propane, we want to give you the facts about propane water heaters and offer you an easy way to lower your utility bill and reduce your carbon footprint. There are two main ways to heat your water – with electricity or with gas. 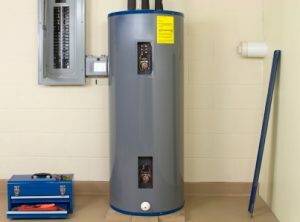 An electric water heater is wired to a home’s power line and utilizes electric coils within the tank to heat the water. Alternatively, propane heating systems heat water via a pilot light and burner. This requires a separate propane tank and gas line. An Energy efficiency rating depends on the energy factor. The higher number, the greater the efficiency. Because the basis of this figure comes from on-site energy rather than source energy, it should not be the sole factor when determining overall efficiency. Unlike electricity, propane heating is a primary energy source. Propane water heaters offer nearly twice the recovery rate of electric units. They can deliver the same amount of heated water from a tank that is half the size. Propane units also save space, are easy to install and require little maintenance. Moreover, they last nearly twice as long as electric units. This translates into considerable long-term cost savings – up to 20 percent annually. As a secondary energy source, 50% of electricity comes from coal. Not only is this harmful to the environment, but much of the production is lost in transport due to inefficient power lines. Propane, on the other hand, delivers energy on-site, helping to lower overall carbon dioxide emissions. For information on propane water heaters, contact Northwest Propane at 972-247-6121. As a trusted Dallas propane provider for over 50 years, we can help you save money and become more energy efficient.